Attract more customers with commercial decoration and entertainment. The Middle East and Kuwait in particular offers numerous opportunities throughout the year for retail premises to entice and entertain their customers. From traditional holidays to specially-created countrywide promotions, shoppers have come to expect to be wowed by retailers. Fantasy Group has consistently risen to this challenge, developing major themed decoration productions that have been widely praised not only for their innovation, but also for consistently delivering quality entertainment performed by talented and enthusiastic professionals. Our projects have been showcased throughout Kuwait, Including; The Avenues Mall, 360 Mall, Al Fanar Mall, Souq Sharq Mall, Al Hamra Tower, Al Muthana Complex, Al Fanar Mall, Marina Mall, Souq Salmiya Mall, Al Muhalab Mall, Al Kout Mall, Al bairaq Mall and many more. 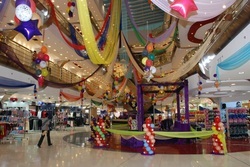 Delight your visitors with attractive mall decoration. Our team of creative designers and skilled craftsmen enable us to undertake in-house production of even the most elaborate themes and ambitious mall decoration projects. This ensures that we are able to consistently provide the highest quality craftsmanship while delivering projects in a timely manner. 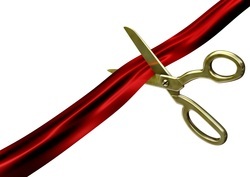 Fantasy Groups Grand Openings are a great way to promote your new business.